How times flies! 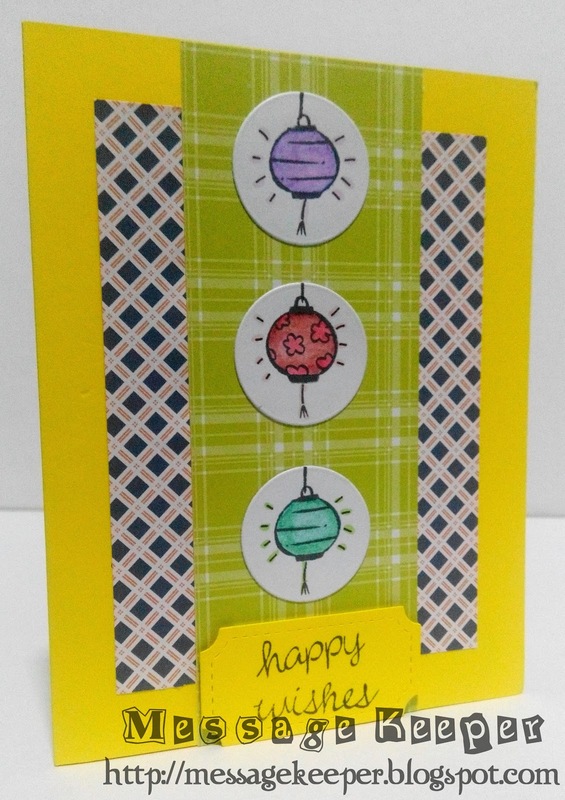 2016 Mid-Autumn Festival is coming soon, falls on 15 September 2016 and it means that I need to stock up some festival cards as I need them to include with the mooncake gift pack. It is also means that finally, I am able to get my Lawn Fawn Lunar Lights stamp set stamp set inky! 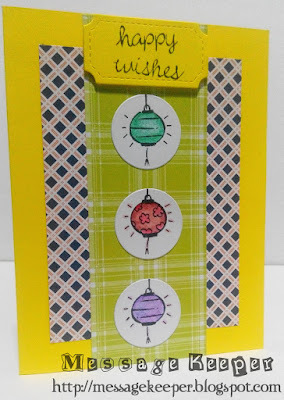 The Lunar Lights has been bought in 2015 when Lawn Fawn decided to discontinue/retire some of their older stamp sets. For this card, I am adopting Sketch Saturday Week #427 as shown above. I decided to make two (2) cards out of one sketch so that I have extra stocks while saving some times. The first card will follow the original sketch while another card will be top mirrored. I start of by die cutting some white circles and stamp the lanterns images onto it. 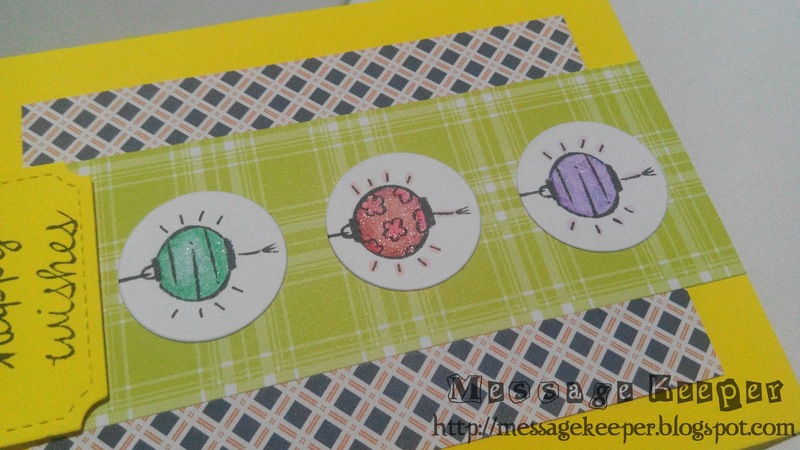 The lanterns are colored with watercolor pencil colors and used the clear glitter Wink of Stella to create the watercolor effect. The shimmer from Wink of Stella is just perfect mimicking the light from inside the lanterns. Then, I hand drawn the light rays and highlight them using Copic markers. The sentiment is stamped onto a yellow stitch ticket die cuts. 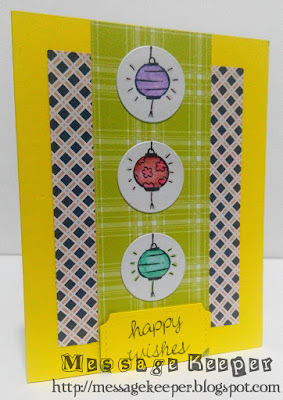 On a yellow card base, two (2) blue diamonds pattern strips are attached as in the sketch follows by the green plaid pattern strip. 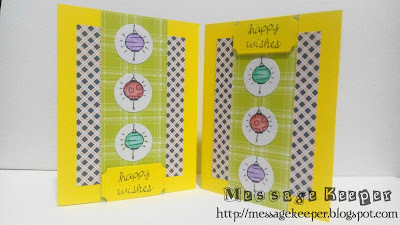 Then, the lantern circles are attached onto the card base as in sketch. 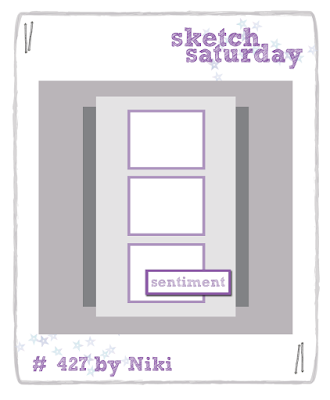 The sentiment ticket is attached onto the card base as in sketch using foam tape. 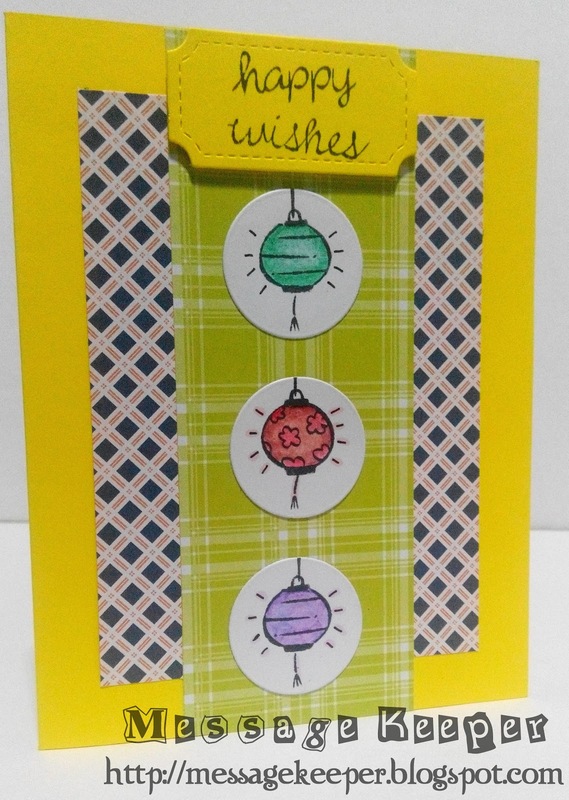 The same goes to the other card that is top mirrored.